David and Cindy, corn-fed kids from Minnesota and Michigan, were college sweethearts and have been together since they were 20. After graduation, they worked in finance and banking in the suburbs of Chicago before getting married. 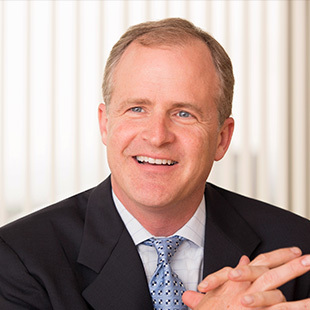 David was soon recruited to Southern California in 1991 where he began his career with The Capital Group Companies. Cindy agreed they could both use some sun. They have lived in Manhattan Beach since 1993 and raised two children, Alec and Natalie, who both graduated from Mira Costa High School. David is a fixed income portfolio manager at Capital Group and also serves on the Fixed Income Management Committee. He has 30 years of investment experience and has been with Capital Group for 27 years. He holds an MBA in finance from the University of Chicago Booth School of Business and a Bachelor’s degree in Economics and Business from Wheaton College, Illinois. David was a early board member of Vistamar School in El Segundo, where he served as interim Board Chair, Chair of the Business Affairs committee, acting as treasurer as well. He also served as a trustee at Judson University in Illinois. In his free time David loves to golf (and watch golf on TV) cook, garden, snowboard, and travel. Because he starts his work day at insanely early hours, you will also find him in the kitchen on the weekends before the sun rises, making something fabulous. If you’ve ever eaten a meal with the Hoags, you have enjoyed his wide range of amazing homemade meals as well as wine, beer, jams, kombucha, and now honey from his bee hive. 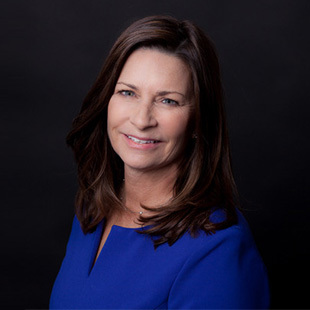 After earning a degree in Psychology from Wheaton College, Cindy worked in business development for First Chicago Bank and sales for Harcourt Brace Jovanovich College Publishing. Once in California, she landed her dream job as a textbook editor for HBJ until retiring to be CEO of the Hoag household. When working and living in Champaign, Illinois she first learned about Habitat for Humanity, wrote her first $25 check to support their mission, and has not missed a year of giving since 1989. In 2002 she was able to form Beach Cities Friends of Habitat for Humanity and leverage relationships with neighbors and colleagues to support 10 Partner Families in realizing their dream of homeownership, raising over $1.1MM to help fund this endeavor which is still ongoing. 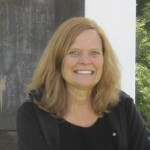 Cindy also taught Sunday School for 13 years, served on the Robinson Elementary and Vistamar School PSTA, and is currently a Trustee at Judson University in Elgin, Illinois. Her proudest accomplishment is helping to raise two happy adult children and staying happily married as well! One great joy is being a surrogate Mom to thirteen young adults who have lived with the Hoags anywhere from 5 weeks to 2 years since 2008 (including 3 exchange students). 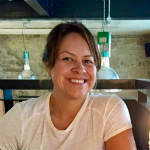 In her free time Cindy enjoys reading, cooking, live theater, trying to golf, long FaceTime chats with her midwest family, and her new job as a partner with Los Angeles Ale Works. Carla Torres is a Teacher at Para Los Niños Hollywood Head Start Program. She has been working for Para los Niños for 9 years with school-age, infants and preschool children. Carla believes that children learn about the world around them with hands-on learning experiences. In her classroom, gardening and nutrition education are part of the daily routine. Maria Miranda is an Associate Teacher at Para Los Niños Hollywood Head Start Program. She has been working in the field of Early Education for 17 years. 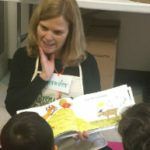 She believes nutrition education is important because children need to be aware of healthy food choices. As a grandmother and an educator she wants to prevent diabetes from spreading. GrowingGreat is a 501(c)3 nonprofit organization whose mission is to build nourishing, learning communities that empower children to make healthy food choices. 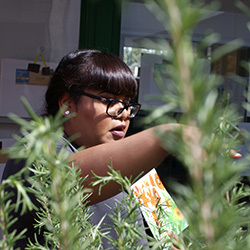 Our garden and nutrition education programs are multicultural with a focus on literacy and scientific inquiry.